The wine connoisseur will appreciate this set of four richly detailed, waterproof coasters, which features their favorite vintage. 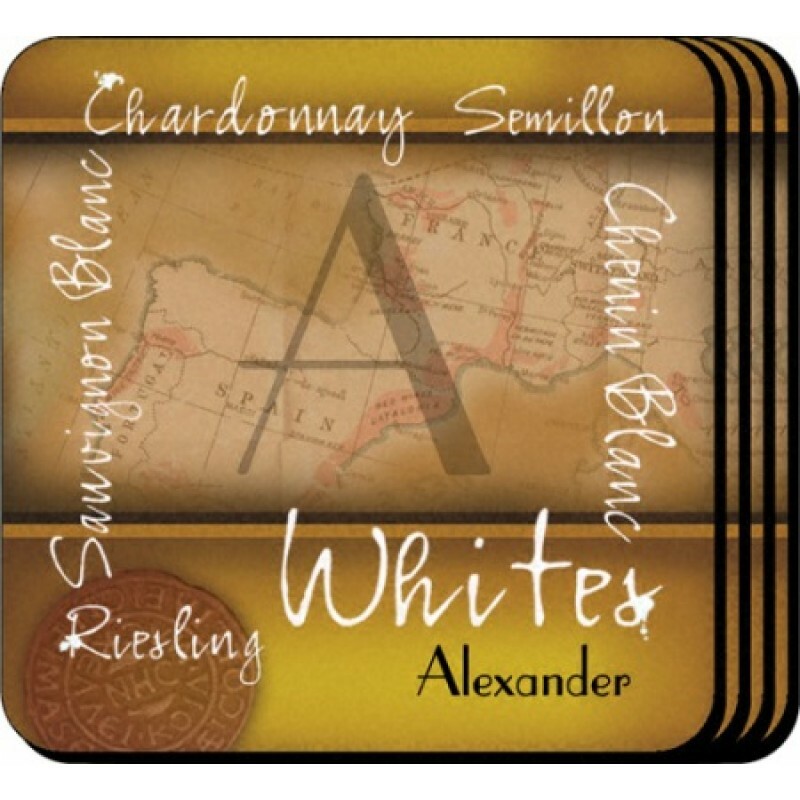 Each personalized design is printed in full color onto a non-skid cork base. Includes a 4 coasters and holder/caddy for storage. Each coaster measures 3 3/4" x 3 3/4". personalized last name and initial.